Can lack of sleep contribute to Chronic Inflammatory disease? Lack of sleep may play a major roll in the development & process of Chronic Inflammatory disease. Everyone of us has a sleepless night from time to time, and most of us don’t think much of it. But for those who suffer sleepless nights due to chronic pain and for those predisposed for autoimmune and cardiovascular disease this is an issue that you may want to take notice of. Research has shown that lack of sleep affects more than just your ability to stay awake during the work day. It can have a profound effect on your immune system and how it reacts. 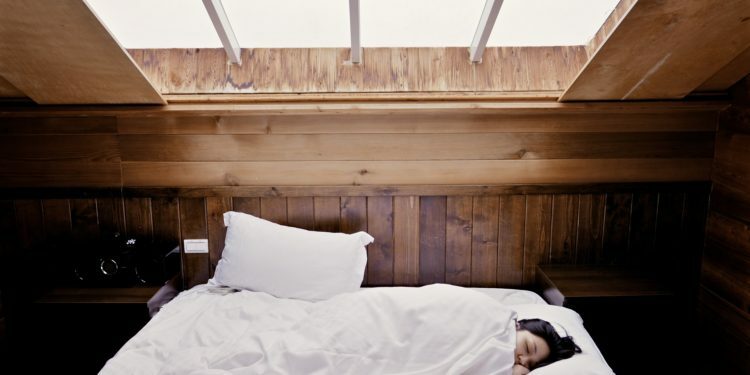 In the September 6, 2006, as was reported in an edition of the peer review journal, Archives of Internal Medicine, a team of researchers from UCLA, (supported by the General Clinical Research Centers Program of the National Institutes of Health and by the Cousins Center at UCLA) were the first to show how the loss of sleep, no matter how small, can directly affect a persons immune system inflammatory response. This study was performed by drawing blood and DNA analysis from 30 Healthy adults drawn during the day across three baseline periods and after partial nights sleep deprivation. They were surprised at the findings. one night can mount a bodies immune system inflammatory response at the cellar and genetic level, increasing the bodies inflammation which is a key factor in the onset of cardiovascular and autoimmune disease. Did you know it is estimated that approximately one third of all Americans suffer from some form of insomnia which can increase their risk for developing chronic health issues. In addition, further studies have shown that there is a definite link between poor sleep patterns and a risk for chronic diseases and other the problem which can be more problematic for persons with genetic predisposition for or existing chronic inflammatory diseases such as cardiovascular disease, arthritis, celiac,diabetes and other autoimmune diseases and or inflammatory diseases. Severe inflammation along with the accompanying redness and swelling is what happens when your immune system floods your body with disease and infection fighting White Blood Cells called monocytes. These white blood cells are what the body uses to fight off all diseases and infections. But for those, like myself, who suffer from autoimmune disease, there is a bit of confusion in the messages sent to the white blood cells when the body sends out these defenders and often they mistakenly turn on the body itself, this is referred to as a flare. These flares can cause sometimes severe and irreparable destruction and damage to healthy tissues and organs along with increase pain and inflammation. During the trial the researchers at UCLA found and the study showed that when the human body experiences loss of sleep for as little as one night it produces twice as many of these disease and infection fighting white blood cells (monocytes) compared to those found in subjects after a good nights sleep,making it more important than those who are prone to or have cardiovascular disease, and or autoimmune diseases, to insure they understand that regular sleep is a must, 7 to 10 hours each night is best. The research was groundbreaking in that it was instrumental in discovering a link between sleep and inflammation but the study also suggests that for certain problems suffering from symptoms associated with autoimmune and cardio vascular disease, patients might be best helped with sleep intervention therapy. Try to get at least 8 hours of sleep every night.